Soho wedding photography inspiration: We’ve long been in love with Hazlitt’s, and its sister hotel The Rookery in Clerkenwell – they’re both fantastically ornate historic hotels packed with interesting tales and stroke-able cats, and each is stupendously photogenic. There’s not an inch in sight that’s less than gorgeous. 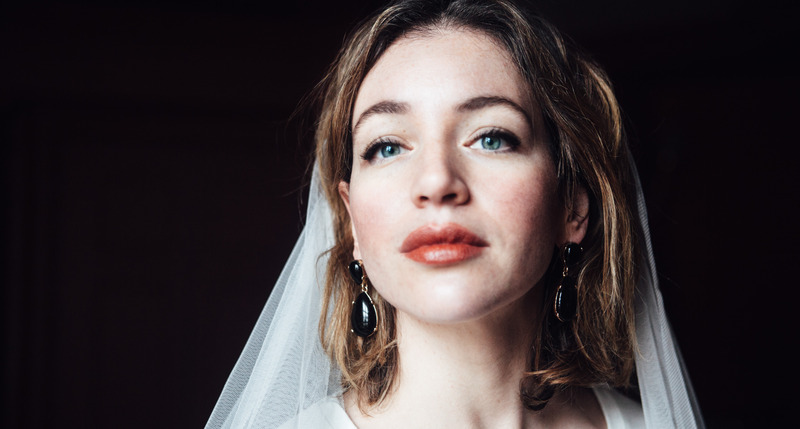 The same could be said for New Yorker-in-London Mallory (well, except the bit about stroke-able cats, obvs) so it was a pleasure to plot this early morning bridal shoot in the Duke of Monmouth suite. Armed with a vintage 1930s dress, an excellent coat and a wedding veil from ASOS (seriously) and one exceptionally well-behaved toddler hanging out behind the scenes, we put together a spot of Soho wedding photography inspiration just for you.